UK citizens do not require a paper or stamp visa to enter Australia, BUT they must obtain an Electronic Travel Authorization (ETA) before their arrival. We are here to help you with this process. An Electronic Travel Authorization (ETA) is required for entrance into Australia. The ETA is electronically linked to your passport and can be obtained from the airport or at an online travel agent. You can apply here. Do UK passport holders need a Visa to go to Australia? UK passport holders do not require a paper or stamp visa to enter Australia, BUT they do need to get an ETA before arrival. How Long can UK Citizens stay in Australia? ONE YEAR. 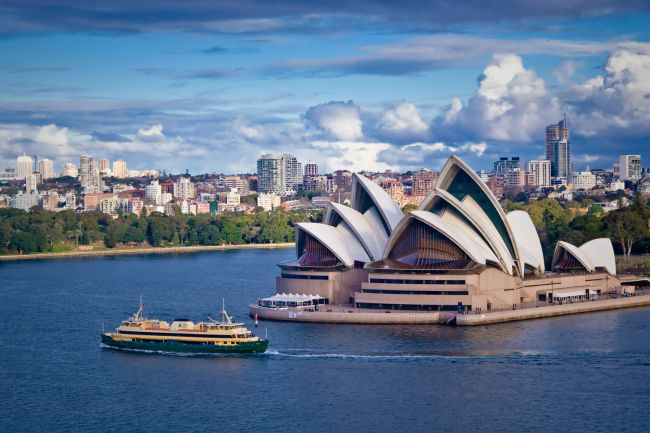 UK citizens may make multiple 90-day trips to Australia while the ETA remains valid. FREE for UK citizens. Take extra care when filling out the application form on the Immigration Department website as errors can result in delays and refused entry. You need a valid passport and an approved ETA to enter Australia. IF you’re aged over 75, you may need to undergo a health check before being issued with a visa. You may also be asked to provide evidence of your finances upon arrival. How early can I apply for the Australia e-visa? 12 months prior to the arrival date. How Long Does It Take to Get an Australia Visa for UK Citizens? Department of Immigration website: ONE DAY It could take longer if you make errors or need to provide additional information. OR process your visa through iVisa.com in 15 minutes. Fill out theapplication for your required visa by following the instructions. OR, you can cut out the bureaucratic process and fill out the application form on iVisa.com. Visit the Australian Department of Immigration website and following the on-screen instructions. The process can be confusing but should be completed within a day. Take extra care not to make errors as this could cause significant delays in the processing time. OR you can fill out theapplication form and get checked and processed in 15 minutes. Can I work as a volunteer with an ETA/eVisitors visa? My passport is valid for less than six months? Can I still apply for a visa? No. You have to contact you nearest embassy for more information on how to a apply. Or alternatively you have to apply for a new passport. Technically you do NOT need an ETA if you are passing through (transit) the country. We recommend all passengers obtain an ETA here. The ETA is valid from the day it’s issued, which is why many British travelers leave the application until just a few days before their intended visit. NOTE: Errors can cause serious delays and result in a cancelled trip. Keep that in mind. Join thousands of other satisfied customers by applying for your visa at iVisa.com, a popular visa service with an average rating of 9.5 on Trustpilot from over 1,800 reviews. APPLY FOR YOUR AUSTRALIA ETA NOW!